Shocking! 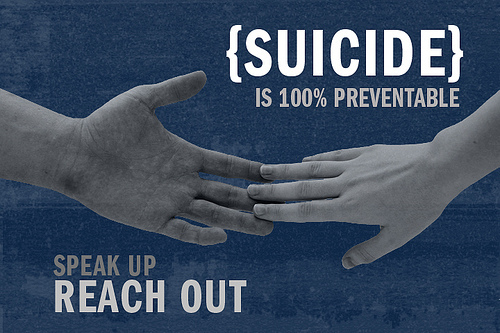 The suicide rate in the U.S. has risen 24% from 1999-2014. What reason(s) do you attribute to this surge? A lack of a sense of purpose. Lack of access to economic resources. Amorality and apathy. Take your pick. Lack of true healthcare. Healthcare is a corporation now. Increase in psychotropic drug prescriptions. According to what treatment should be doing for mental health issues, the suicide rate should be doing the opposite of climbing. These drugs are prescribed for nearly everything now. It's dangerous. Also abuse of both non-prescribed and prescription opiates. Bad parenting, godless society, and kids who are raised expecting to get what they want, do what they want without any responsibility or consequence. Oh my boyfriend broke up with me..... Splatters brains across her bedroom wall. I think that so many victims of suicide think that life is not going to get any better, so, they resort with taking their own lives. They just don't see any silver lining heading their way. You have given general reasons for why people might commit suicide, but you haven't answered your question as to why there should have been such a surge from 1999-2014. If you could suggest something to change/help healthcare in the U.S. what would it be? What, in your opinion, is the most shocking topic to be discussed on any Forum? Do you know that there are states in India which has lower fertility rate than western countries?